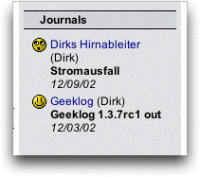 The newest release of the danish translation to GeekLog 1.3.7. Its nearly all finished. Uncompress and put it in the /geeklog/language directory. Danish translation for the Static Pages Plugin version 1.2. Uncompress to /geeklog/plugins/staticpages/language to get the Scandinavian touch! A simple block that lists the latest public entries of all public journals. 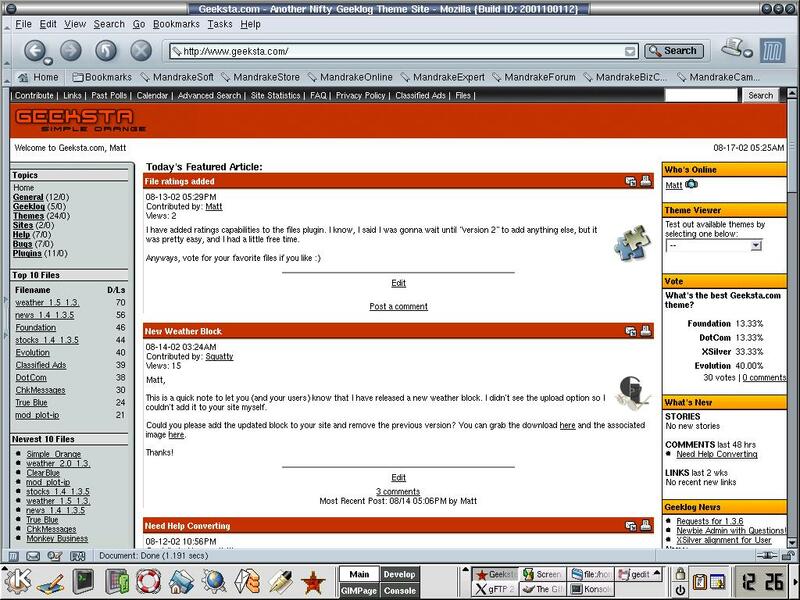 This a metasearch that takes search data retrieved from the metasearch engine at spaceless.com and returns in a geeklog compatible stream.